Columbia County, New York Horse Directory - O Horse! Arabian horses for sale, arabian endurance, horse breeding and training, Olympic equestrian training, equine dressage facility, Olympic Endurance Horse Racing, UAE Endurance World Masters, FEI World Class Endurance Horses. 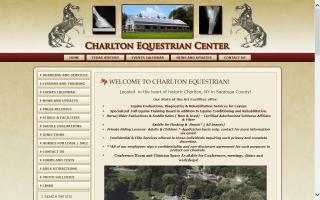 200 acre Dressage, Eventing, Jumping, Training, and Boarding Facility in Ancramdale, NY. Indoor and outdoor arenas. Covered round pen. 3 Instructors/trainers for a variety of disciplines. Head Instructor teaches and trains all through FEI level Dressage. Senior Instructor and Assistant Trainer is a Level III Centered Riding Instructor and Clinician. Shows, Camps, and Clinics. Not for profit Horsemanship Academy educates the rider through the GoldStar program. Saturday Saddle Club for youth. We are a quiet friendly boarding facility that welcomes all disciplines, including English, Western, Trail Riding, Fox Hunting, Horse Showing, Retired Equine, etc. We welcome all levels of riders. English & Western lessons are available, including showmanship and horsemanship. Also, coaching is available for those who would like to try their equine at the shows. We have both stall board with pasture or shed with pasture. Kinder Farm, Home of Forever Fork! It is Kinder Farms 10th year in business! Although we always have a waiting list, we promise to be worth the wait. Riding lessons for adults & children for all levels and disciplines, including dressage, CT, eventing, and hunter/jumper. Beautiful facility & amenities. Safe mounts available. Private lessons offered. Conditioning & medical rehabilitation services offered. We are located in the upper Hudson Valley, two hours from Manhattan, and offer TLC for your retiree. Matted stalls, large and small pastures, ample turnout, and all wood fencing. We only board retirees, so your horse's older horse issues are our priority. Visit our website for more information, prices, photos, and details, and if you wish to visit, please call us at 914-391-2373. We look forward to making your retiree one of the family!